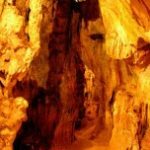 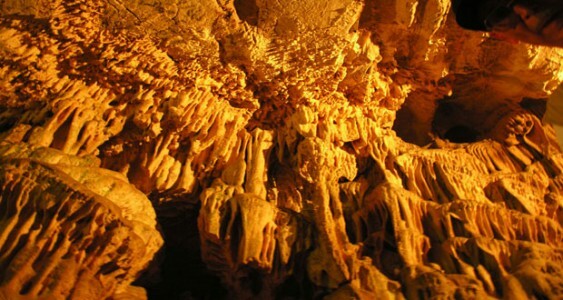 Tartous, SANA – Spectacular stalactites and stalagmites, along with a host of wonderful Quaternary rock formations make al-Dawayat Cave a unique natural paradise, where visitors can stroll through and explore the incomparable beauty of this place which is more than 20 million years old. 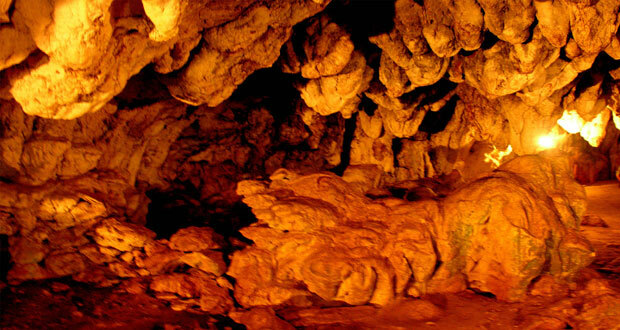 Al-Dawayat Cave is located in Mashta al-Helo, a picturesque mountain town and resort with its lush green forests and red-tiled rooftops, which is 26 km from Safita city. 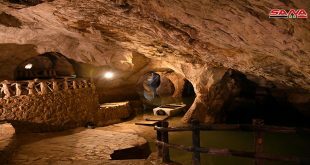 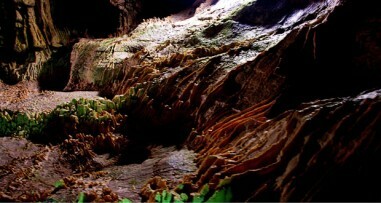 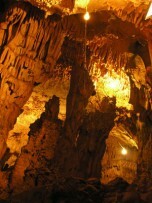 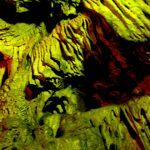 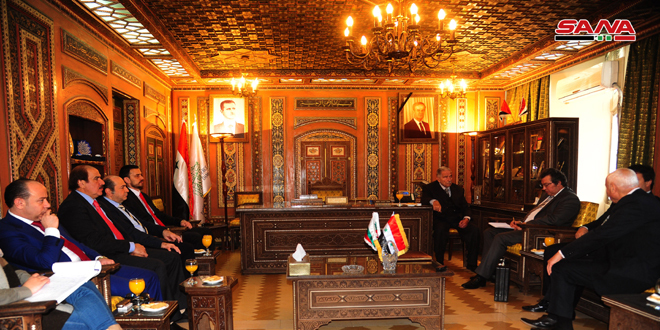 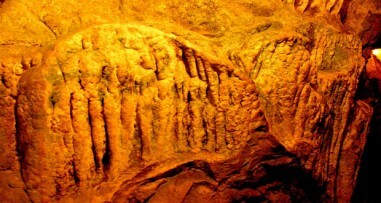 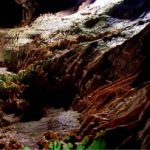 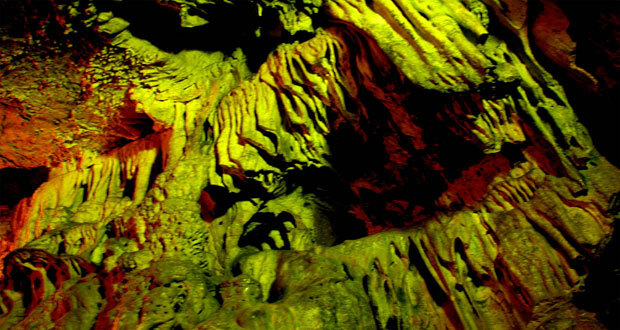 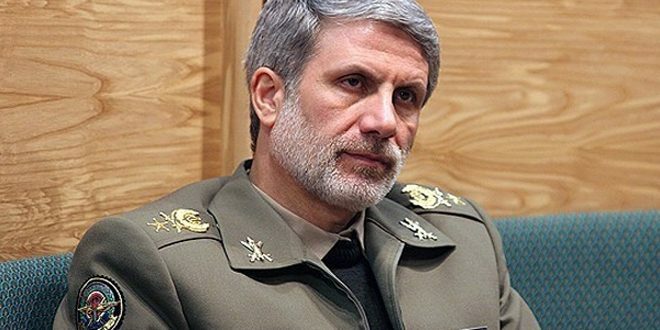 In a statement to SANA, Roula Nou’ma, from the tourism Center in al-Mashta, said that al-Dawayat Cave is considered the oldest cave in Syria and it was first discovered by a shepherd in 1914, adding that in 1956, a team of scientists and speleologists conducted an exploratory visit to the site. 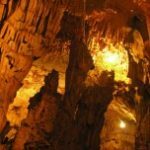 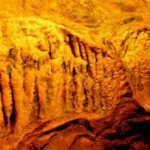 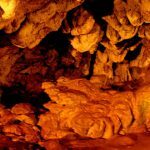 She noted that the name of the cave “al-Dawayat” is derived from the 5 small openings in its roof which allow sunlight into the cave resulting into wonderful colors and forming a fascinating setting that will leave visitors awestruck. 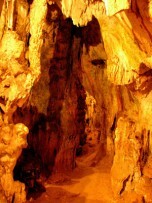 Al-Dawayat Cave consists of 3 modules: the entrance with three openings in the ceiling, the second module contains fascinating crystal columns created from the union of stalactites and stalagmites with the sound of water drops dripping inside adds to the charm of the place while the third one includes a complex rock labyrinth that is difficult to enter due to the lack of oxygen.